So you’ve never owned a truck before, and think it might be time to take the plunge. Good news: trucks these days have retained their battle axe-tested tougness (literally, in some cases), while adding a slew of modern amenities (heated steering wheels, Bose sound systems) that shorten the luxury gap with premium SUVs. 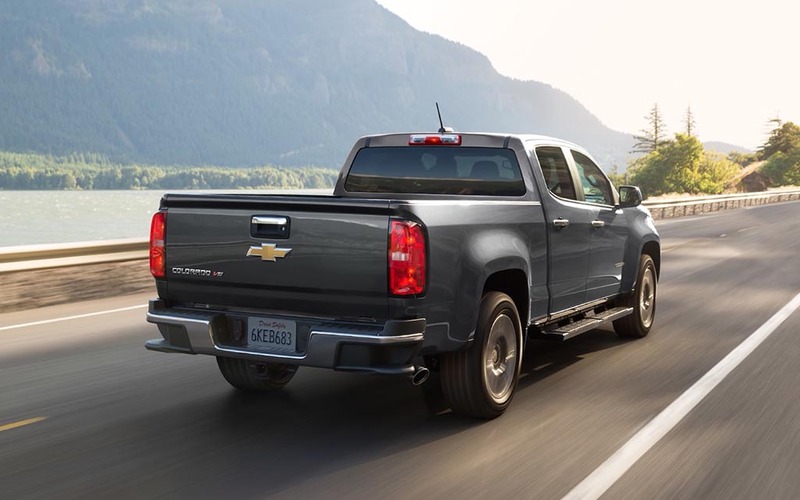 Enter the 2019 Chevrolet Colorado, the second generation to the line Chevy introduced in 2015, and an excellent vehicle for first-time truck buyers. The Colorado emphasizes creature comforts without forgetting its function, boasts an efficient engine that can tow while running at a relatively high MPG, and starts at an approachable $20,500. We spent a weekend with the truck earlier this month, and have a few thoughts. We drove the Colorado from Northern New Jersey to Southern Vermont for a weekend ski trip in early March. Once we pulled off I-87, we wheeled the truck through ice and snow in towns that were incorporated before George Washington had armpit hair. The Colorado put in a Land Rover-worthy performance, though, thanks to some superb steering for a vehicle of its size (it has a curb weight of 4,419-lbs.). 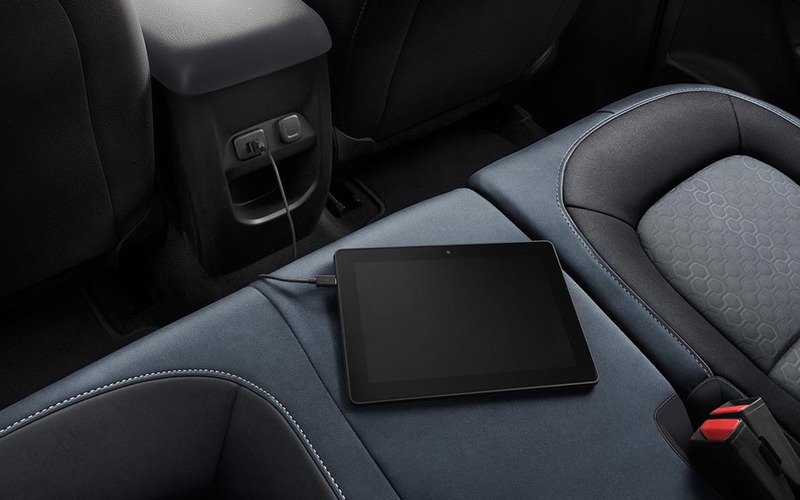 If things had gotten hairy, the Colorado has an electronic stability control feature called StabiliTrak that enhances a driver’s hold over the car, and automatically course-corrects in the event of an emergency. Service was sparse up in the Maple Syrup State, so the Colorado coming equipped with 4G LTE Wi-Fi was clutch. Assuming you have an active service plan for your phone, you should be covered even deep in the backcountry. Obviously, we’re all about tech nutrition these days, and part of the reason you might purchase a truck is to rig it up with kayaks and freeze the banner notifications for a few days. But going full Alexander Supertramp is overrated, and thanks to our in-car wifi we A) never got lost and B) found a great spot for bagel sandwiches. There are more USB ports in the Colorado than at a Newark airport gate. Don’t fact-check us on that, but suffice to say, not a single phone lost battery during our travels. 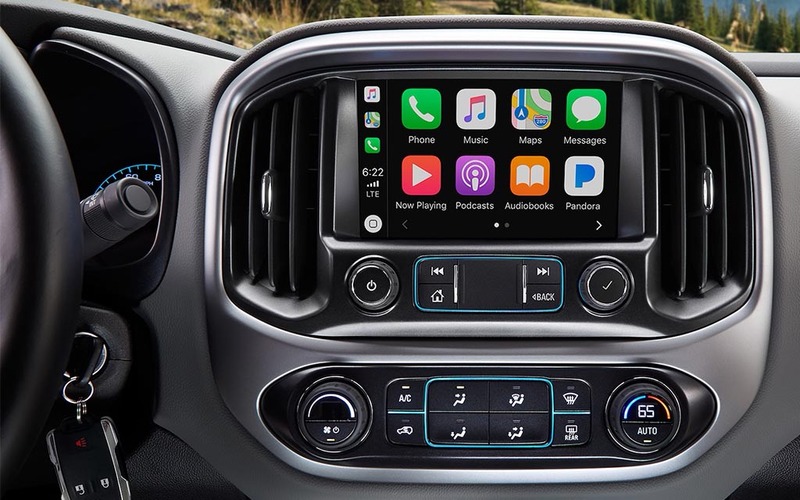 Crucial, too, considering the front dashboard offers a comprehensive infotainment system (navigation, audiobooks … Pandora) which connects directly to your phone via the myChevrolet app. You could easily lose battery in a flash if you’re not careful. The Colorado’s 2.8L Turbo-Diesel engine has a best-in-class towing capacity of up to 7,700-lbs. It’s built with a high-strength steel frame, pairs with a number of tailgate accessories — from locker side rails to bed dividers to utility rack stanchions — and features triple-sealed doors with a liquid-applied sound deadener. I’m a few inches over six feet, so sitting in the backseat during a road trip is generally a special sort of hell for my knees. Luckily the Colorado, even for a “small” truck, has ample legroom. I fit back there fine, as did our bags and ski gear. 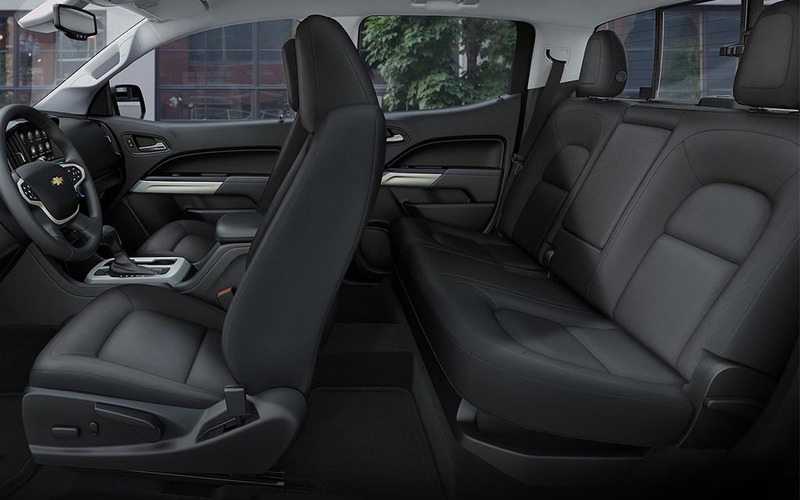 If you’re looking for yet more space, the backseats fold up to reveal a bench storage unit, which is an ideal spot to store tools, food, gloves and what have you. Trucks have come a long way on fuel efficiency. Pickups that once kept (miserable) pace with early-2000s Hummers are now exploring non-diesel solutions, or increasing their miles per gallon. The Colorado is the most fuel-efficient midsize pickup truck on the highway, averaging 30 MPG. That puts the truck nearly on par with a compact SUV; think vehicles like the Toyota Rav-4 or Nissan Rogue, which generally hang out in the low-30s range. Do it. 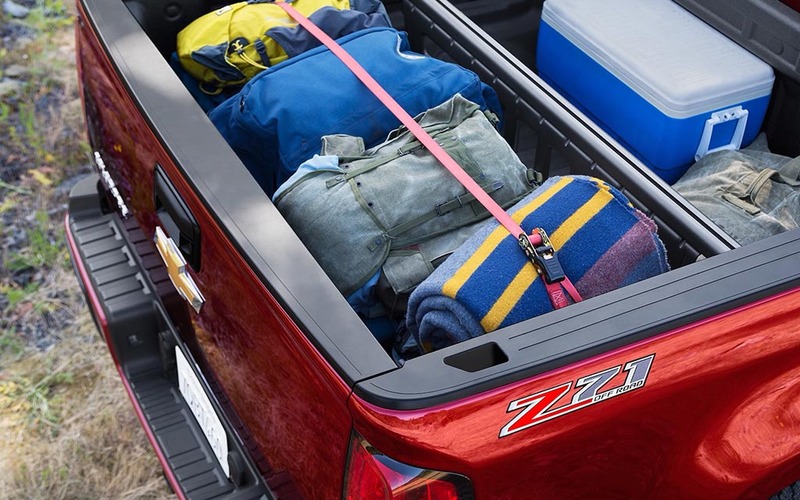 We tested out a model with all the bells and whistles: the Z71. It was only about $33K, with a base price of $30K, yet boasted an interior environs and driving comfort that resembled a high-end SUV. Now, this isn’t a car to lease if babies two through four are on their way. But if you’re aiming to diversify your weekends without getting lost along the way … let’s buy a truck. For more information on purchasing your own, head here.